I have a 1997 855 with about 1200 hours. Over the last couple of years, on occasion the pedals would stick, not allowing you to travel at a normal speed. You can go slow though. I talked to a tech who said it was just sticking and to kick the pedals real hard. When I did that, I would end up breaking the bolt in the linkage but when I put it back together, it would work fine. I finally discovered that I could also just turn it off and wait maybe 5 minutes and it would work fine. Finally, it won't correct itself again. I could feel tension building up in the pedals when it was getting ready to stick. I'm thinking that's there's pressure building up somewhere causing it. If anyone has any ideas, please chime in. I'm hoping on some kind of an easy fix but not holding my breath. Assuming a hydro transmission, are you running the proper fluid and has it been changed on schedule? Any correlation with temperature, winter vs. summer operation? It is a hydrostatic transmission. The oil has always been changed according to specs and I always use JD oil. There doesn't seem to be any slippage of the transmission, only the problem I mentioned. 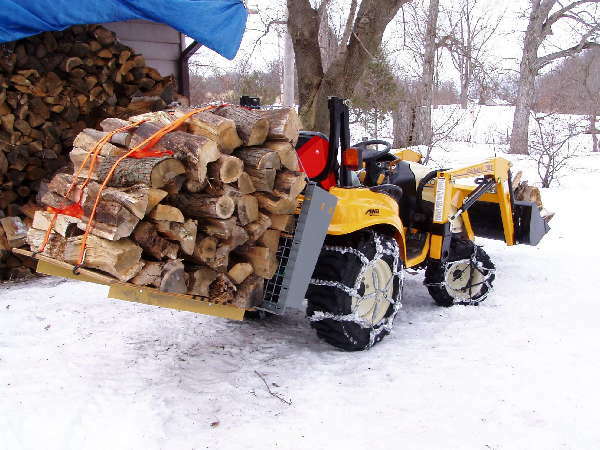 Everything else works well also, three point hitch and front end loader. Don't take this as anything but the speculation that it is. Sometimes just talking it over helps work through a problem. If it's not the linkage binding it has to be internal somewhere. Maybe a spool is scored or too small and it's cocking in the cylinder a bit. Or an o-ring that has broken and becomes jammed between the spool and cylinder. When the pressure is relieved the situation resolves. If you have a service manual it would be worth looking at the diagram to see how the actuator works and maybe come up with some ideas. Thanks. I'll check into that. By chance is this a four wheel drive tractor if so it sounds like you are driving it on the highway in four wheel drive. Can not say it will on all tractors but on some (my Kubota B2710 being one)it will bind up doing about what you described. My tractor is 4wd and what you say makes sense. But in my case, it happens most of the time while I'm in 2wd mowing, and I'm usually on flat ground. Well my only other thought and bet you have done this...lube the linkage very well. No idea what the linkage is like but some linkage will rust or corrode very easy. Have that issue with one of my tractor's life levers. I've had a issue like that with mine. It ended up the brake pedal was sticking slightly limiting the travel of the hydro petals. If you are like me you don't use the left hand pedals for the wheel brakes all that much and they get sticky. Crawl under there, clean it out and look for all the grease zerks, I found that the service manual does not show them all. Use the proper weight grease or when it gets cold the pedals are slow to return to the neutral position. The x55 series tractors have interlock linkage to keep the pedals from being pushed if operator is off the seat or if the brake is locked. My guess is something in this linkage is worn, sticking, or out of adjustment. If you look under the left side of the seat, you should see a rod sticking up with a plastic end on it. That is the rod that needs to be depressed when you sit on the seat to unlock the pedals. Try looking under the tractor while someone moves tht rod. you can then see how it operates. Lubricate all the moving parts of the linkage to make sure it moves freely. Also, if the seat is in need of repair or if you have swapped to a non-John Deere seat, it might not push on this linkage properly.